Faux antlers carved from lightweight wood were skillfully shaded to identically replicate the real thing. No animals were harmed in making this amazing light fixture. Has a substantial width and size, has been electrified. Made by an elderly Indiana wood carver now deceased. 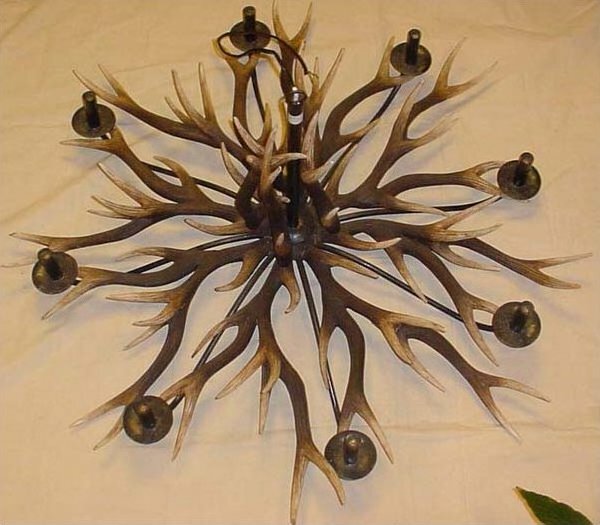 Beautifully shaded points replicate real antlers; framework is black iron. Would suit an urban interior too, not only for a country log house.